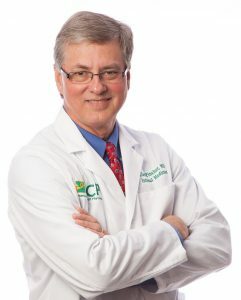 Dr. Clark Fincher was recently awarded the Mastership of the American College of Physicians, Arkansas Chapter. Fincher practices at Unity Health – Searcy Medical Center, located at 2900 Hawkins Dr. in Searcy, as an internal medicine physician. He has been practicing for 38 years, and is the first internal medicine physician from Searcy to receive the title of Master. Mastership is the highest honor awarded by the ACP. Masters are highly accomplished by the excellence and significance of their contributions to the field of medicine. Fincher is a former ACP Governor, received the Chapter Laureate Award in 2010 and serves on the Governor’s Council. The ACP is a national organization consisting of internal medicine specialists who contribute to the science and practice of medicine, and are united by a commitment to excellence. The ACP is the largest medical specialty society in the world with 154,000 members across the globe.